Good news, Chapter 10 has been released right now! 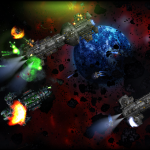 You ever wondered what to do if you would like to create 3d graphics for a game or application? – Well, you go for modern OpenGL. And SDL 2.0 is probably the best and most convenient way to go for modern OpenGL nowadays, even professionals typically use SDL as powerful assistant for their OpenGL applications. Learn more about the strong relationship between SDL and OpenGL in Chapter 10. – And learn how it’s done, of course ;-). Chapter 3 got a short explanation now on how to copy the source code of a chapter. In the SDL 1.2 chapters the source code was shipped for each chapter as Pascal file. Nowadays it is much more convenient to grab the source code (or just the desired parts) by copying it directly from the chapter’s source code boxes (in the browser) and paste it whereever it is needed. The transfer of the old website has been finished. Nearly the complete content is in some way or another transfered to the new page. For example, all tutorial pages (even the old ones) are still available. Some downloads are integrated at the corresponding tutorial pages now, so they are not lost. Some pages are gone, these are Downloads, Tables and Links. These pages are of no benefit anymore since their information are now provided at the corresponding place instead of separate pages. Nevertheless, links trying to access these pages are redirected to the main page to prevent broken links. 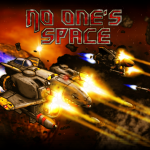 No One’s Space got greenlit. This means that this Free Pascal/SDL game will be available in Steam for purchase soon. It demonstrates the power of Free Pascal and SDL. Small update of some subdomain settings. Subdomain links work again. This chapter will introduce you on how to combine the SDL library with the famous Open Graphics Library (OpenGL). OpenGL is the first choice when it comes to platform independent 2d and 3d graphics programming. The emphasis is on graphics programming only though! Why and when to combine SDL and OpenGL? 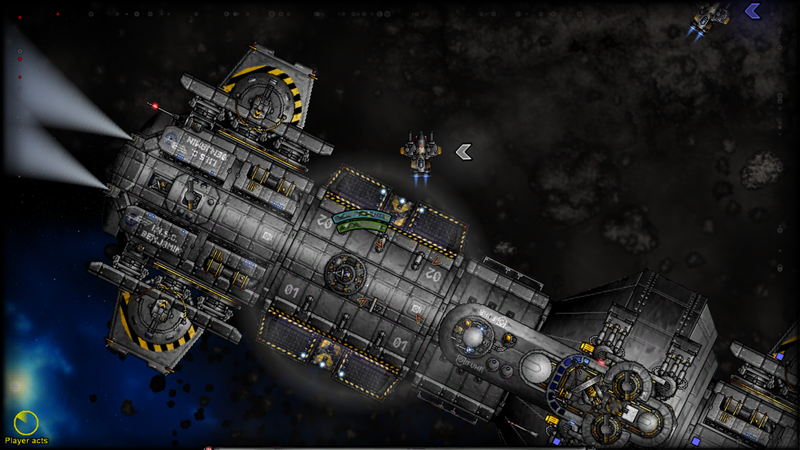 SDL is an excellent choice if you need platform independent 2d graphics. OpenGL is capable of 2d graphics, too, but why using the more complicated library if you could use the easy to use SDL library? 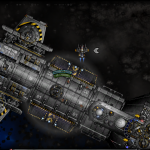 – And by the way, underneath SDL is actually using OpenGL (or similar libraries depending upon the system) to achieve its hardware accelerated 2d graphics. However, if your project needs 3d graphics, which isn’t covered by SDL, you can set up your system for this quite easy with SDL. The setup of an OpenGL environment is very easy and platform independent with SDL. Without SDL you would’ve to write different code to set up OpenGL for each operating system. In fact, even professional developers use SDL to set up their OpenGL applications. Furthermore, since OpenGL is a pure graphics library, any other task is further done by SDL (e.g. keyboard handling, sound,…). At this point I’d like to quote Klaus Vor der Landwehr (professional developer) from Turtle-Games, who described the relation of SDL and OpenGL in a very clear way. 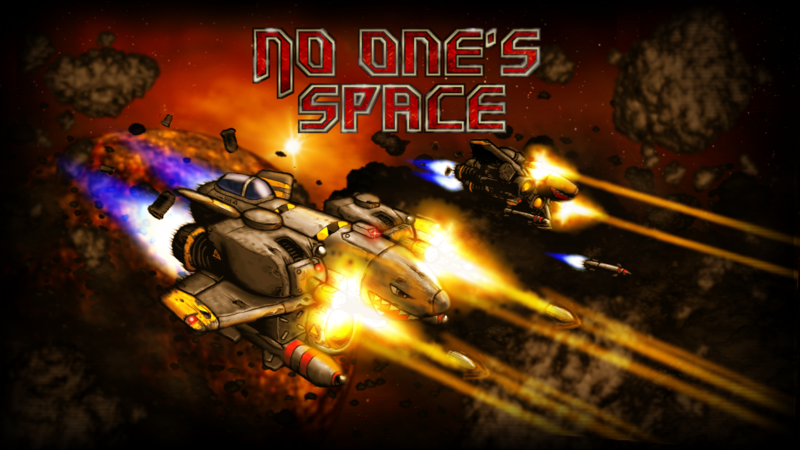 … for Windows, Mac and Linux. Source: Pascal Game Development Community. What exactly is modern OpenGL? As of version 2.0 of OpenGL, the so-called fixed pipeline has been replaced by a programmable pipeline (modern OpenGL). In general, the pipeline makes your input data appear on the screen in a hardware accelerated manner by using your graphics card. For the fixed pipeline it was easy to draw something to the screen but, as the name suggests, it was quite fixed and unflexible. The programmable pipeline which is controlled by a newly introduced shader (script) language is far more flexible, though, the ease is gone :-D.
Anyway, some people refer to OpenGL version 3.0 and up as modern OpenGL. This is because a lot of typical functionality was deprecated as of this version. The backwards compatibility is gone. In this chapter I will demonstrate how to use SDL 3.0 and up to set up a modern OpenGL environment using some basic shaders. I based the description heavily on an excellent C++ tutorial over at opengl-tutorial.org and their second chapter. You may look for further OpenGL stuff there or have a look at this WikiBook OpenGL Introduction (C++). I’m not aware of OpenGL tutorials for Free Pascal or Delphi treating modern OpenGL (let me know if you know). 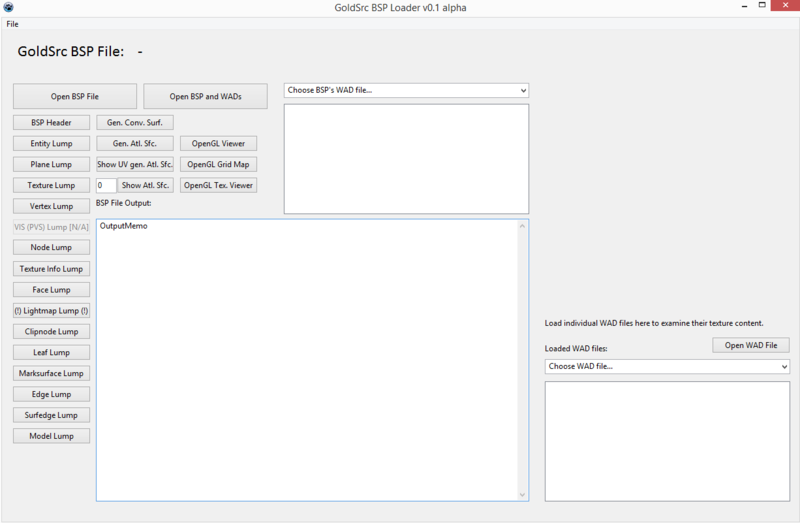 Similar to SDL 2.0, you need specific units which translate and connect your code to the OpenGL library. There is a native OpenGL unit GL which covers the main functionality of OpenGL. Additionally for modern OpenGL you need the unit GLext which covers the functionality up to OpenGL version 4.0. These units are shipped right along with the Free Pascal compiler. In case you are interested in support of OpenGL version 4.4, you should look into the dglOpenGL.pas. This unit is not shipped natively along with the Free Pascal compiler. program chap10_SDL2; uses Classes, SysUtils, SDL2, GL, GLext; const vertexShaderFile = 'VertexShader.txt'; fragmentShaderFile = 'FragmentShader.txt'; triangleData: array[0..8] of GLfloat = ( -1.0, -1.0, 0.0, 1.0, -1.0, 0.0, 0.0, 1.0, 0.0 ); var sdlWindow1: PSDL_Window; sdlGLContext1: TSDL_GLContext; i: Word; VertexArrayID: GLuint; triangleVBO: GLuint; VertexShaderID: GLuint; VertexShaderCode: PGLchar; FragmentShaderID: GLuint; FragmentShaderCode: PGLchar; ShaderCode: TStringList; ProgramID: GLuint; compilationResult: GLint = GL_FALSE; InfoLogLength: GLint; ErrorMessageArray: array of GLChar; begin if SDL_Init( SDL_INIT_VIDEO ) < 0 then HALT; //get an OpenGL window and create OpenGL context sdlWindow1 := SDL_CreateWindow( 'OpenGL window', 50, 50, 500, 500, SDL_WINDOW_OPENGL ); if sdlWindow1 = nil then HALT; sdlGLContext1 := SDL_GL_CreateContext( sdlWindow1 ); if @sdlGLContext1 = nil then HALT; //init OpenGL and load extensions if Load_GL_VERSION_4_0 = false then if Load_GL_VERSION_3_3 = false then if Load_GL_VERSION_3_2 = false then if Load_GL_VERSION_3_0 = false then begin writeln(' ERROR: OpenGL 3.0 or higher needed. '); readln; HALT; end; //print out OpenGL vendor, version and shader version writeln( 'Vendor: ' + glGetString( GL_VENDOR ) ); writeln( 'OpenGL Version: ' + glGetString( GL_VERSION ) ); writeln( 'Shader Version: ' + glGetString( GL_SHADING_LANGUAGE_VERSION ) ); //create Vertex Array Object (VAO) glGenVertexArrays( 1, @VertexArrayID ); glBindVertexArray( VertexArrayID ); //creating Vertex Buffer Object (VBO) glGenBuffers( 1, @triangleVBO ); glBindBuffer( GL_ARRAY_BUFFER, triangleVBO ); glBufferData( GL_ARRAY_BUFFER, SizeOf( triangleData ), @triangleData, GL_STATIC_DRAW ); //creating shaders VertexShaderID := glCreateShader( GL_VERTEX_SHADER ); FragmentShaderID := glCreateShader( GL_FRAGMENT_SHADER ); //load shader code and get PChars ShaderCode := TStringList.Create; ShaderCode.LoadFromFile( VertexShaderFile ); VertexShaderCode := ShaderCode.GetText; if VertexShaderCode = nil then HALT; ShaderCode.LoadFromFile( FragmentShaderFile ); FragmentShaderCode := ShaderCode.GetText; if FragmentShaderCode = nil then HALT; ShaderCode.Free; //compiling and error checking vertex shader write('Compiling and error checking Vertex Shader... ' ); glShaderSource( VertexShaderID, 1, @VertexShaderCode, nil ); glCompileShader( VertexShaderID ); glGetShaderiv( VertexShaderID, GL_COMPILE_STATUS, @compilationResult ); glGetShaderiv( VertexShaderID, GL_INFO_LOG_LENGTH, @InfoLogLength ); if compilationResult = GL_FALSE then begin writeln( 'failure' ); SetLength( ErrorMessageArray, InfoLogLength+1 ); glGetShaderInfoLog( VertexShaderID, InfoLogLength, nil, @ErrorMessageArray ); for i := 0 to InfoLogLength do write( String( ErrorMessageArray[i] ) ); writeln; end else writeln( 'success' ); //compiling and error checking fragment shader write('Compiling and error checking Fragment Shader... ' ); glShaderSource( FragmentShaderID, 1, @FragmentShaderCode, nil ); glCompileShader( FragmentShaderID ); glGetShaderiv( FragmentShaderID, GL_COMPILE_STATUS, @compilationResult ); glGetShaderiv( FragmentShaderID, GL_INFO_LOG_LENGTH, @InfoLogLength ); if compilationResult = GL_FALSE then begin writeln( 'failure' ); SetLength( ErrorMessageArray, InfoLogLength+1 ); glGetShaderInfoLog( VertexShaderID, InfoLogLength, nil, @ErrorMessageArray ); for i := 0 to InfoLogLength do write( String( ErrorMessageArray[i] ) ); writeln; end else writeln( 'success' ); //creating and linking program write('Creating and linking program... ' ); ProgramID := glCreateProgram(); glAttachShader( ProgramID, VertexShaderID ); glAttachShader( ProgramID, FragmentShaderID ); glLinkProgram( ProgramID ); glGetShaderiv( ProgramID, GL_LINK_STATUS, @compilationResult ); glGetShaderiv( ProgramID, GL_INFO_LOG_LENGTH, @InfoLogLength ); if compilationResult = GL_FALSE then begin writeln( 'failure' ); SetLength( ErrorMessageArray, InfoLogLength+1 ); glGetShaderInfoLog( VertexShaderID, InfoLogLength, nil, @ErrorMessageArray ); for i := 0 to InfoLogLength do write( String( ErrorMessageArray[i] ) ); writeln; end else writeln( 'success' ); for i := 0 to 400 do begin glClearColor( 0.0, 1.0-i/400, 0.0+i/400, 1.0 ); glClear( GL_COLOR_BUFFER_BIT ); glUseProgram( ProgramID ); glEnableVertexAttribArray( 0 ); glBindBuffer( GL_ARRAY_BUFFER, triangleVBO ); glVertexAttribPointer( 0, 3, GL_FLOAT, GL_FALSE, 0, nil ); glDrawArrays( GL_TRIANGLES, 0, 3 ); glDisableVertexAttribArray( 0 ); SDL_Delay( 20 ); SDL_GL_SwapWindow( sdlWindow1 ); end; //clean up glDetachShader( ProgramID, VertexShaderID ); glDetachShader( ProgramID, FragmentShaderID ); glDeleteShader( VertexShaderID ); glDeleteShader( FragmentShaderID ); glDeleteProgram( ProgramID ); StrDispose( VertexShaderCode ); StrDispose( FragmentShaderCode ); glDeleteBuffers( 1, @triangleVBO ); glDeleteVertexArrays( 1, @VertexArrayID ); SDL_GL_DeleteContext( sdlGLContext1 ); SDL_DestroyWindow( sdlWindow1 ); SDL_Quit; end. The vendor, OpenGL version and shader version information will be different according to your system. Also, if your system doen’t support the needed OpenGL version you’ll not have “success” but rather “failure” after the compiling and linking processes. Additional information may be shown then. The program is called “chap10_SDL2” for obvious reason. Additionally to the SDL2 unit we load the native FPC units Classes (for TStringList support), SysUtils (for PChar functions) and GL and GLext for OpenGL support. Thre are three constants declared. The first two are defined as the filenames of the so-called shader source files. Basically they are simple text files which contain a script. More about shaders and the script later. The third is an array of nine GLfloat values. GLfloat is the OpenGL float variable type which in fact is translated as Pascal’s Single type. In short, these nine values describe three points in 3d space which, if connected, form a triangle. More about this later. The first variable “sdlWindow1” is well known from previous chapters. Any variable to follow is new though. Most of them are related to OpenGL. “sdlGLContext1” is of type TSDL_GLContext needed to create a so-called OpenGL context. In fact, this variable type is provided by SDL and a key type to set up an OpenGL conext in a simple and cross-platform manner. The variable “i” is a simple Word variable for counting purposes. Most of the following variables are either of type GLuint or of type PGLchar. The last variable is an dynamic array of GLchars. Their specific meaning will be discussed later but GLuint is the OpenGL unsigned integer type (no negative values) which translates to Pascal’s Cardinal/Longword type. Text handling in OpenGL works by null-terminated strings of type PGLchar which translate to Pascal’s PChar. GLchar translates to Char then, obviously. At this point you may wonder why as for SDL the null-terminated strings are used instead of simple strings (see Chapter 7 for the PAnsiChar variable type discussion). The answer again is that OpenGL is based upon C which handles strings this way. PChar equals PAnsiChar by the way. The remaining variables “ShaderCode” of type TStringList will be used to handle the shader text files. “compilationResult” and “InfoLogLength” are of GLint type. In contrast to GLuint they allow for negative values. First SDL2 is initilized as known. “sdlWindow1” is created as known by SDL_CreateWindow. Be careful though, in order to work with OpenGL the flag SDL_WINDOW_OPENGL has to be set! An OpenGL context is kind of an abstract name. It doesn’t represents just a window, even though it is created from a SDL2 window, but rather it contains everything (including the window information) that is related to this OpenGL context. The OpenGL context is therefore kind of “broader” than just a window, that is why it is called context rather than just a OpenGL window. So, it is simple as that, just use the SDL2 window as argument and voila, you’ll get a OpenGL context, platform-independent. That is why everybody loves SDL2 to work with OpenGL. Note that the returned Context isn’t a pointer but an actual instance. So to error check against nil you need to refer to the instance’s addresse by the @ operator. The nested if-then-statements check if at least version 3.0 of OpenGL is installed. If so, the highest available version is loaded. If not, the program is stopped and returns a text message. If your hardware doen’t support OpenGL 3.0 or higher you should try to update your graphics driver. There is a good chance that you are able to use OpenGL 3.0 or higher then. Anyway, if the upgrade doesn’t work out or you wouldn’t want to update, you may have a look into the JEDI-SDL Chapter about OpenGL, there the old OpenGL is treated (although that chapter treats SDL 1.2, it shouldn’t be too hard to make it work with SDL 2.0 with minor changes). Have a look at the first three lines and you see what it could look like. Briefly, a Vertex Array Object (VAO) is a specific OpenGL object which contains important settings (e.g. format of vertex data) and references to other objects, including Vertex Buffer Objects (VBO). Notice, it doesn’t store the object’s data (content) itself, it just stores the reference to these objects. The Vertex Buffer Object (VBO) contains the actual data (content). In the example case these are three vertices, each described by three float point values in cartesian space. The VAO is created by function glGenVertexArrays( number of VAO names, pointer to VAO names array ). The first parameter determines how many VAO names I’d like to create. We just need 1. The second parameter asks for a pointer to an array of VAO names. Since VAO names are just simple GLuints, it is a simple array of GLuints. Anyway, since we just need one, a pointer to a simple GLuint variable will be suitable, too. In our case that is “VertexArrayID”. To bind (“activate”) the corresponding VAO to the OpenGL context, the function glBindVertexArray( name of VAO ) is used. The argument is the name of the VAO we just created in “VertexArrayID”. Similar to the VAO, the VBO is created by function glGenBuffers( number of VBO names, pointer to VBO names array ). Again, we just need 1 VBO whose name should be returned to “triangleVBO”. This variable just stores an ID (object name) of GLuint type. From the naming of “triangleVBO” it is clear to us what we intent here (representing a triangle by three vertices), anyway, how should OpenGL know? – We explain the meaning of this buffer object to OpenGL by using glBindBuffer ( target, VBO name ). There are numerous options as target but GL_VERTEX_BUFFER is the right choice here. The actual VBO is created by glBufferData( target, size of object’s data store in bytes, pointer to data to be copied into VBO, expected usage ). This functions takes four arguments. The target is GL_VERTEX_BUFFER again. The size of the VBO’s data store in bytes is determined by Pascal’s SizeOf function applied to “triangleData”. The “triangleData” constant also holds the data to be copied into the VBO, so its pointer is suitable as the third argument. Since we are not going to change the data a lot, we should use GL_STATIC_DRAW as fourth argument. If you are a newcomer to OpenGL, don’t worry if you are confused the first time. Most people are. And now it may even get worse :-(. When starting with modern OpenGL the so-called Shaders are talked about a lot. Shaders are scripts written in a C-like script language called OpenGL Shading Language (GLSL). These scripts are compiled at runtime and influence the way how the graphics data is processed at certain steps in the so-called rendering pipeline of OpenGL. In fact, you can create rather complex and special effects with shaders without even changing one line of code of your source code. There are two Shaders that are crucial and have to be set up to work with modern OpenGL. They are called Vertex Shader and Fragment Shader. There are more Shaders not covered here, though. 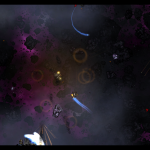 Each type of Shader influences different aspects of the rendering. This GLSL source code is saved into a file VertexShader.txt and located in the same directory as the source code of this chapter’s example source code. I’m not going to explain this GLSL code in detail here, but a detailed explanation is found over at opengl-tutorial.org Chapter 2 where I got this Shader code from, by the way. This code is in file FragmentShader.txt and located in the same directory as the VertexShader.txt. The detailed explanation is found over at opengl-tutorial.org Chapter 2 again. Anyway, you’ll notice that there is a “color” variable (three component vector). As you see, it sets the (red,green,blue) values for the fragments to (1,0,0) which means red should be the result, red = 100%, green and blue = 0%. You may play around with these values. Both Shaders are created by function glCreateShader( Shader type ). It returns the reference (or name) as GLuint as seen before for the VAO and VBO. We store them in the VertexShaderID and FragmenShaderID, respecitvely. The next part is about loading the source code from the two Shader files (VertexShader.txt, FragmentShader.txt) and converting them to be used with OpenGL. First a “ShaderCode” variable of TStringList type is created. Its LoadFromFile method let us load the file contents into the variable conveniently. First for the Vertex Shader, whose file name is stored in constant “VertexShaderFile”. The variable “VertexShaderCode” is of type PGLchar, which is the way OpenGL handles strings. Since PGLchar is of type PChar anyway, the method GetText is perfectly suitable here to convert the source code string into a null-terminated array of chars. Finally, there is a simple check if the PGLchars are empty (nil), which shouldn’t be the case if the source code is pointed to as expected. Exactly the same is done for the FragmentShader and the source code associated with “FragmentShaderCode”. Finally, the dummy variable “ShaderCode” is free’d. To associate the source code we stored in “VertexSourceCode” to “VertexShaderID” of GLuint type, the function glShaderSource( Shader reference, number of array elements, pointer to array of source code PGLchars, pointer to array of lengths ). The Vertex Shader reference is stored in “VertexShaderID” which is the first argument. We just have one source code, so the second argument is 1. The source code is stored VertexShaderCode, and its pointer is addressed by @VertexShaderCode as the third argument. As seen before, since we just have one element here, it is not necessary to have really an array. The fourth parameter allows for some length specification, but if set to nil it expects null-terminated arrays of chars. The compilation is straight forward done by glCompileShader( Shader reference ). It is really advised to to error checking here, that is why it is shown how to do that. The function glGetShaderiv( Shader reference, object parameter, pointer of correct type for return value ) is used to request information about objects. First we like to know if the compilation was successful. The Shader reference is stored in “VertexShaderID”, the object parameter is GL_COMPILE_STATUS. This will return a GLint value, which can be interpreted as GL_FALSE or GL_TRUE. The result is stored in “compilationResult” by using its pointer (@compilationResult) as argument. Right after that we request the length of the information log by GL_INFO_LOG_LENGTH. It will be greater than 0 if some information were logged (probably an error occured on compilation then). The result is returned to “InfoLogLength” by its pointer @InfoLogLength. If an error occurs, “compilationResult” is GL_FALSE. In this case “failure” along with more specific information is printed out. I’m not going into detail here, since this shouldn’t happen. Otherwise (and that should be the case), “success” is printed out. The very same way the Fragment Shader is compiled and checked. The shaders have to be attached and linked by a Shader program. A Shader program is created by glCreateProgram(). The parenthesis are important here. It returns an reference of GLuint type which is stored in ProgramID. The Shaders are attached to this Shader program by glAttacheShader( Program reference, Shader reference ). The program is linked by glLinkProgram( Program reference ). The reference for the Shader program is “ProgramID”. The references for the Shaders are “VertexShaderID” and “FragmentShaderID”, respectively. 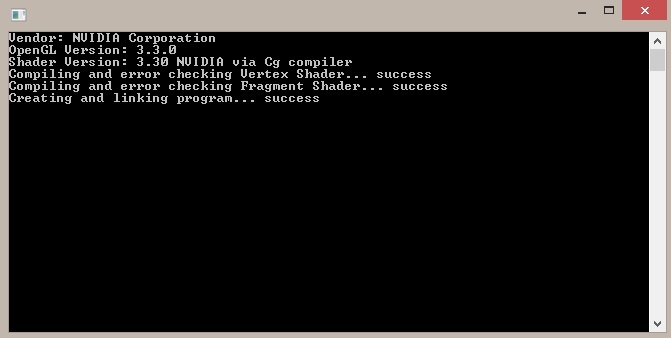 By complete analogy to the error checking for the Shader compilation, the Shader program linking is checked. Anyway, instead of GL_COMPILE_STATUS, GL_LINK_STATUS is used. The for-loop counts from 0 to 400. Within each cycle it first changes the background color by glClearColor( red, green, blue, alpha ). Red and alpha are constant, green and blue are varied each cycle dependend upon variable i. 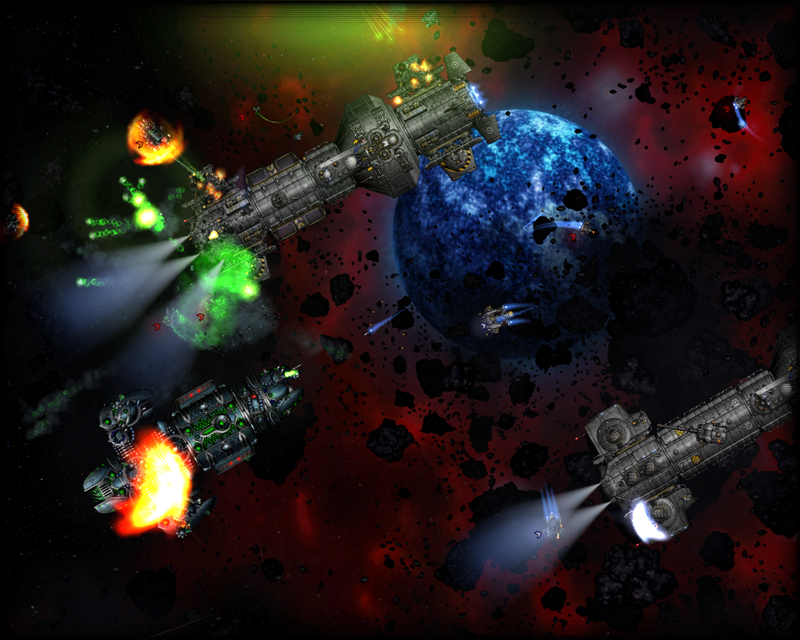 This makes the background slowly changing from green to blue, feel free to play around with the rgba values. To actually clear the color buffer glClear( buffer ) with GL_COLOR_BUFFER_BIT as argument is used. glUseProgram( Shader program reference ) is used to apply the Shader program to the rendering state. “ProgramID” is the Shader program reference in the example code. glEnableVertexAttribArray( array index ) is used in order to make the attribute array available for rendering by glDrawArrays. The index is 0 here. The “triangleVBO” is bound by glBindBuffer( target, buffer ) to the GL_BUFFER_ARRAY target to change attribute data of said VBO. Latter is done by glVertexAttribPointer( index, size, type, normalized, stride, offset of first component ) with the given arguments. Hence, the index is 0, 3 components per generic vertex attribute, each of float point type (thus, GL_FLOAT), not normalized (thus GL_FALSE), no strides between vertex attributes, no offset for the first component. The rendering is done by glDrawArrays( type of primitive, starting index, number of elements ). The type of primitive is a triangle, hence GL_TRIANGLES is the first argument. We start at the very beginning, so index is 0. We have 3 sequential elements (vertices). glDisableVertexAttribArray( array index ) is the counter function to glEnableVertexAttribArray( array index ), obviously. It disables the vertex attribute array. SDL_Delay delays the loop by 20 milliseconds. is used to actually display the rendering result to the the window “sdlWindow1”. Keep in mind that this window has to be initialized as an OpenGL window. This procedure is comparable to SDL’s SDL_RenderPresent. After i matching 400, the for-loop is left. For the clean up, the shaders have to be detached from the shader program by glDetachShader( program, shader ). After that they can be deleted by glDeleteShader( shader ), and the program by glDeleteProgram( program ). The shader script PChars are disposed by StrDispose( PChar ). The VBO and the vertex array have to be free’d by glDeleteBuffers( number of buffer objects, pointer to array of buffers ) and glDeleteVertexArrays( number of VAOs, pointer to array of VAOs ) respectively. The first parameter is the number of objects to be deleted, which is 1 in both our cases. The SDL Window is destroyed as known. Finally SDL is shut down as known by SDL_Quit. This chapter will introduce you on how to combine the SDL library with the famous Open Graphics Library (OpenGL). OpenGL is the first choice when it comes to platform independent 2d and 3d graphic programming. As long as you just want to do 2d programming you can stay with SDL and there is no need to use OpenGL (even though OpenGL is also capable of doing 2d graphics). 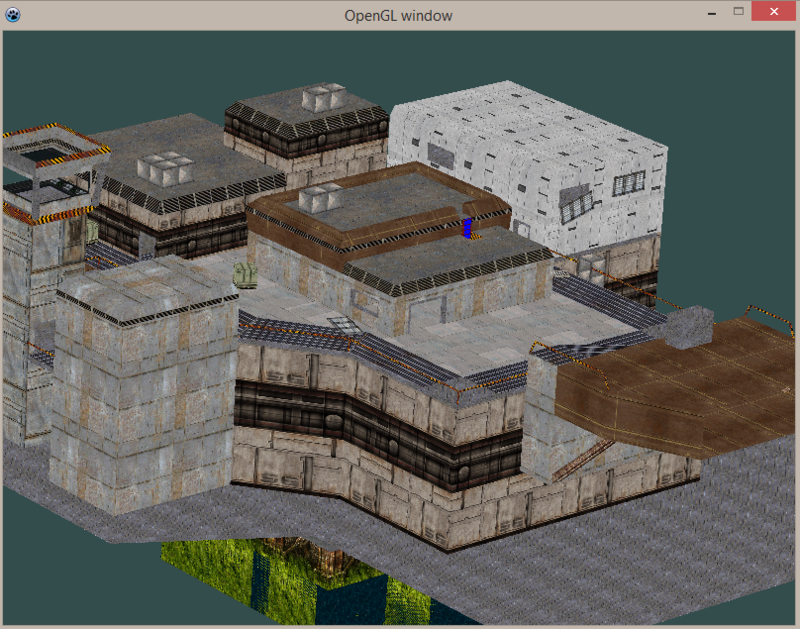 However, if your project needs 3d graphics you can set up your system for this quite easy using OpenGL in SDL. 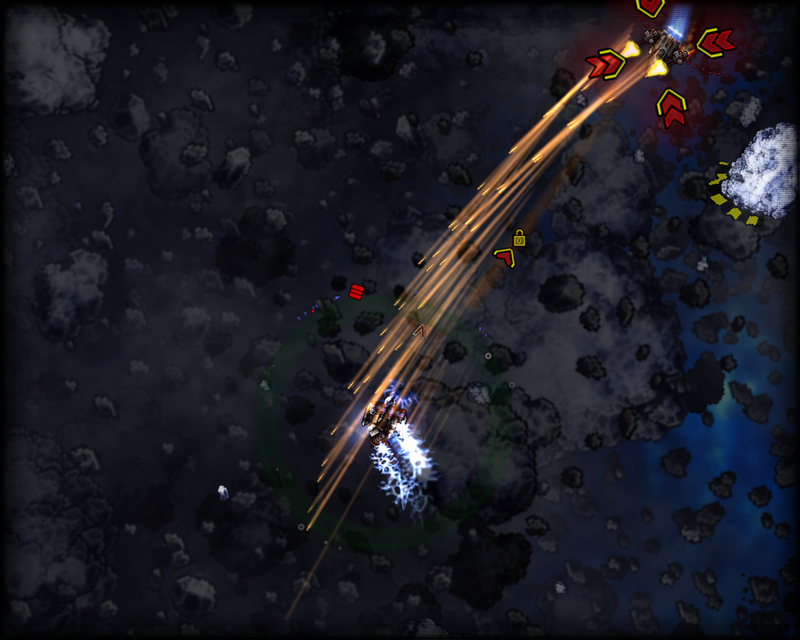 The main advantages of SDL here are that any other task except the graphics is further done by SDL (e.g. keyboard handling, sound,…) to keep the platform independence and ease. Further the setup of your SDL environment for the usage of OpenGL is very easy (compared to the setup without SDL) AND also is platform independent. Without SDL you would’ve to write different code to set up OpenGL for each operating system. There is support for some others OpenGL related units, like GLUT (OpenGL Utility Toolkit) which provides a simple windowing application programming interface, GLX (OpenGL Extension to the X Window system) which provides a binding to use OpenGL in X Window windows (Linux), GLEXT (OpenGl Extensions) which provide additional functions since version 1.1 of OpenGL from 1996. I didn’t try out any of the latter mentioned units but if you progress in learning and using OpenGL especially GLEXT might get interesting to you since it provides the up-to-date functionality. Now following the whole code at once as usual. PROGRAM chap8; USES CRT, SDL, GL, GLU; VAR userkey:CHAR; screen:pSDL_SURFACE; h,hh,th,thh:REAL; BEGIN //some calculations needed for a regular tetrahedron with side length of 1 h:=SQRT(0.75); //height of equilateral triangle hh:=h/2; //half height of equilateral triangle th:=0.75; //height of tetrahedron thh:=th/2; //half height of tetrahedron SDL_INIT(SDL_INIT_VIDEO); SDL_GL_SETATTRIBUTE(SDL_GL_RED_SIZE, 5); SDL_GL_SETATTRIBUTE(SDL_GL_GREEN_SIZE, 5); SDL_GL_SETATTRIBUTE(SDL_GL_BLUE_SIZE, 5); SDL_GL_SETATTRIBUTE(SDL_GL_DEPTH_SIZE, 16); SDL_GL_SETATTRIBUTE(SDL_GL_DOUBLEBUFFER, 1); screen:=SDL_SETVIDEOMODE(640, 480, 0, SDL_OPENGL); IF screen=NIL THEN HALT; glCLEARCOLOR(0.0, 0.0, 1.0, 0.0); glVIEWPORT(0,0,640,480); glMATRIXMODE(GL_PROJECTION); glLOADIDENTITY; gluPERSPECTIVE(45.0, 640.0/480.0, 1.0, 3.0); glMATRIXMODE(GL_MODELVIEW); glLOADIDENTITY; glCLEAR(GL_COLOR_BUFFER_BIT); glENABLE(GL_CULL_FACE); glTRANSLATEf(0.0, 0.0, -2.0); REPEAT SDL_DELAY(50); glROTATEf(5, 0.0, 1.0, 0.0); glCLEAR(GL_COLOR_BUFFER_BIT ); glBEGIN(GL_TRIANGLES); glCOLOR3f(1.0, 1.0, 0.0); glVERTEX3f(thh, 0.0, 0.0); glVERTEX3f(-thh, hh, 0.0); glVERTEX3f(-thh, -hh, 0.5); glCOLOR3f(0.0, 1.0, 1.0); glVERTEX3f(thh, 0.0, 0.0); glVERTEX3f(-thh, -hh, -0.5); glVERTEX3f(-thh, hh, 0.0); glCOLOR3f(1.0, 0.0, 1.0); glVERTEX3f(thh, 0.0, 0.0); glVERTEX3f(-thh, -hh, 0.5); glVERTEX3f(-thh, -hh, -0.5); glCOLOR3f(1.0, 1.0, 1.0); glVERTEX3f(-thh, -hh, 0.5); glVERTEX3f(-thh, hh, 0.0); glVERTEX3f(-thh, -hh, -0.5); glEND; SDL_GL_SWAPBUFFERS; UNTIL keypressed; SDL_QUIT; END. 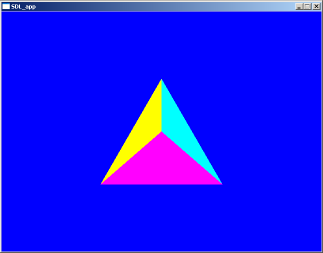 What this code will do is to switch to the OpenGL mode of SDL and draw a spinning tetrahedron. When you press a key the program aborts. However, some identifiers mentioned in the code are not related to SDL but OpenGL. Furthermore there are some functions which are related to OpenGL but are provided by SDL. Pure OpenGL identifiers begin with GL_ (e.g. GL_TRIANGLES) or gl (e.g. glCLEARCOLOR) whereas SDL provided OpenGL functions begin with SDL_GL_ (e.g. SDL_GL_SETATTRIBUTE). The program is called “chap8”. We use CRT as known from many former chapters to provide an easy way to recognize if a key got pressed. We need SDL for SDL support. New are the OpenGL units GL and GLU which are both included uncompiled in the JEDI unit package as well as pre-compiled along with the FPC compiler. We need a variable “userkey” to recognize the user pressing a button. This is unrelated to SDL and OpenGL. The screen variable will display the scene later and is known from every former chapter. Four REAL variables are needed for some calculations regarding a tetrahedron. The first four lines of code after BEGIN are needed to have some pre-calculated values at hand when it comes to constructing the tetrahedron later. h is the height of a equilateral triangle when each side has the length of one. hh corresponds to the half height meaning the value of h devided by two. th is the height of the tetrahedron (from any of the four possible bases to the corresponding peak) constructed of equilateral triangles. thh means the half value of th. These expressions result just from some geometry (Pythagorean theorem) and aren’t related directly to SDL or OpenGL. First of all we initialize SDL as known. Attention now: Before setting up the video mode for OpenGL we have to set all needed attributes of the OpenGL environment. If you set them afterwards they won’t be recognized and default values are used by OpenGL. The function to do so is SDL_GL_SETATTRIBUTE(attribute, value). The function returns the integer 0 if setting was successful, -1 otherwise. The corresponding function to read out the set value of an attribute is SDL_GETATTRIBUTE(attribute, value) with the same error checking values. The attribute’s value is written to value. This last function is not used in the code. Source of table and content: JEDI-SDL documentation. Each pixel of the screen contains three different colour components (red, green, blue). We want each pixel’s colour component’s size to be five bits. This is a default value for the colour components. The depth buffer (also called Z-buffer) will get 16 bits of size, also a default value. Finally we allow double buffering. Be careful here. 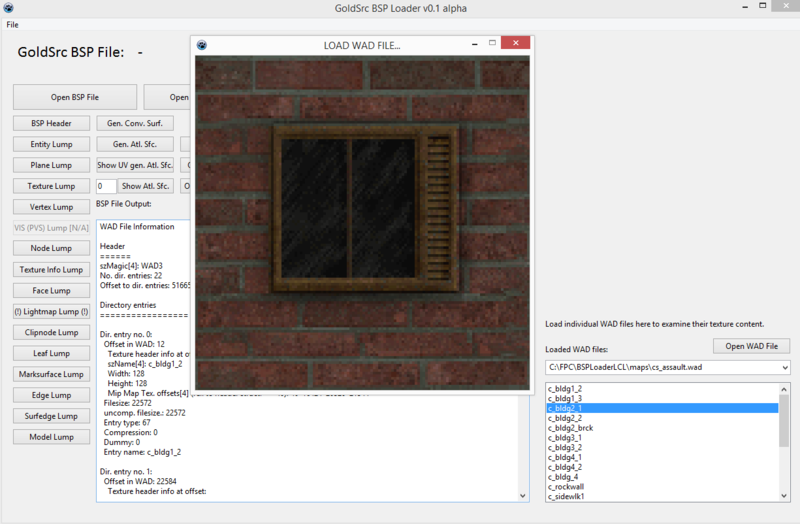 The double buffering for an OpenGL scene is not enabled by the SDL flag SDL_DOUBLEBUF in the video set function but is set by SDL_GL_SETATTRIBUTE(SDL_GL_DOUBLEBUFFER, 1). For any other attributes, its meanings and its values refer to OpenGL tutorials which you find anywhere in the Internet. 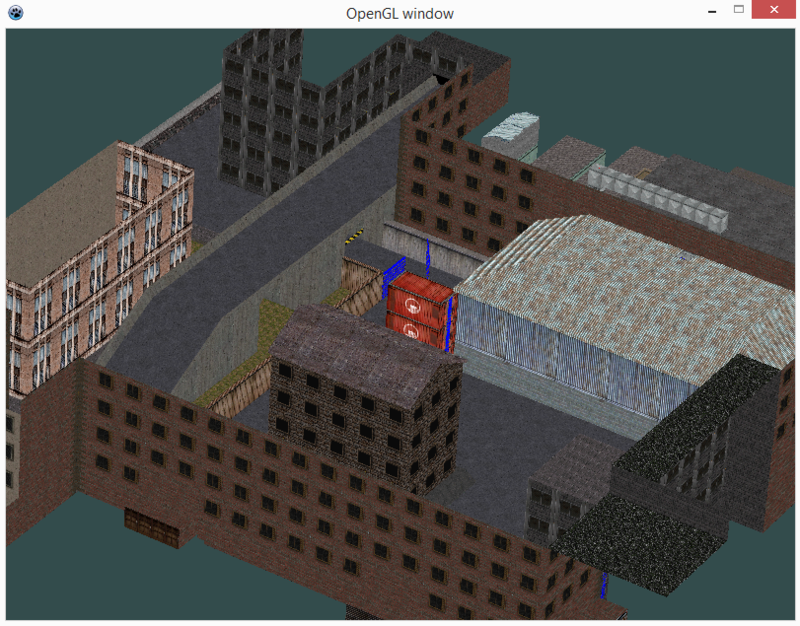 The goal is to draw an OpenGL scene within a SDL environment to have access to all the advantages each library provides. So after setting all necessary attributes of the OpenGL scene you have to create a SDL window which is able to display an OpenGL scene. To set up such a window you use the common SDL_SETVIDEOMODE(parameters) function. The first two parameters determine the window’s size as known. The values for the width and the height should be consistent with the values for the OpenGL viewport which will be set later. The third parameter determining the colour depth of a SDL scene should be ignored and set to 0 if you want to set up an OpenGL scene. The colour depth of an OpenGL scene is set up as shown before with SDL_GL_SETATTRIBUTES(parameters). However, any value different from 0 will not affect the OpenGL scene in any way. To set up an OpenGL scene successfully you must add the SDL_OPENGL flag as shown. However, you can combine it with any other window appearance flag (e.g. fullscreen, without border, …) by using the logic operator OR as known. The following descriptions regard to pure OpenGL programming. Detailed descriptions you’ll find in any OpenGL tutorial. However, I will give a brief overview over these functions. glCLEARCOLOR(parameters) sets the background colour used if you call glCLEAR to reset the colour buffer. glCLEARCOLOR(parameters) expects four float point values corresponding the red, blue, green colour and the alpha channel (for transparency). Any value is a number between 0.0 and 1.0 where 0.0 means no addition of the corresponding colour component or transparency and 1.0 full addition of the corresponding colour component or complete transparency. In the example code we set up a completly blue background without transparency. 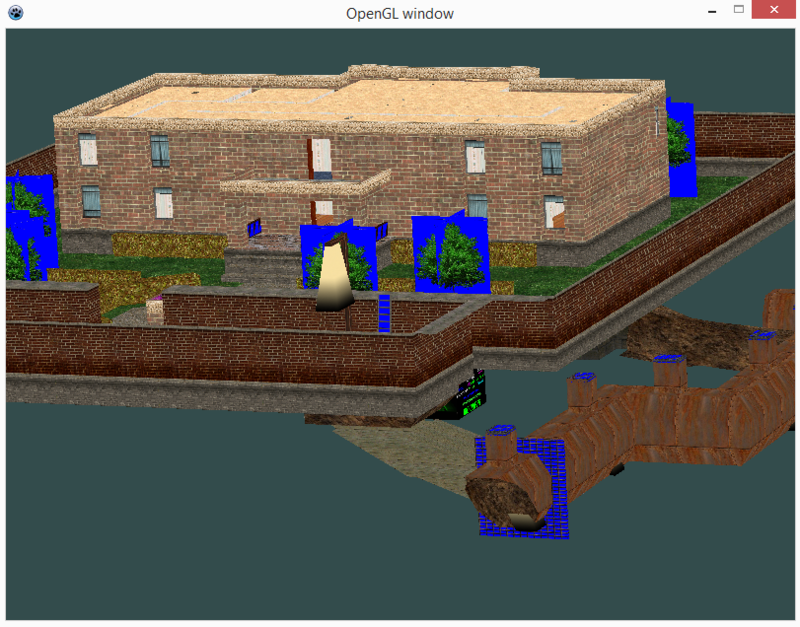 glVIEWPORT(parameters) sets the viewport of the OpenGL scene. The first two parameters are integer x- and y-values for the actual position in space, 0/0 is the default setting. The lower-left corner of the viewport is therefore at position 0/0 by default. The next two parameters define the width and height of the scene’s projection to the physical screen. Remeber please, these two values should be the same as has been used for the window width and height when using SDL_SETVIDEOMODE(parameters). However, it isn’t forbidden to use different values. We use a width of 640 and height of 480 pixels. glMATRIXMODE(parameter) sets the matrix which you’d like to manipulate. It allows different parameters. Very common values are GL_PROJECTION and GL_MODELVIEW, further parameters are GL_TEXTURE and GL_COLOR. The following matrix operations (glTRANSLATEf, glROTATEf,…) are applied to the set matrix’ stack. Often this function is followed by glLOADIDENTITY. glLOADIDENTITY replaces the current matrix by the identity matrix. All elements of the identity matrix equal 0 except for the diagonal elements which are 1. First we need to specify the projection transformation. Therefore we set the matrix mode by parameter GL_PROJECTION. Either we choose a perspective projection that reflects a 3d world, so objects with a great z value appear smaller than objects with a lower z value, or we choose an orthographic projection that reflects a 2d world, so objects will be drawn independently of their z value. 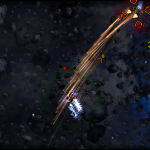 The latter mode is usually used for text, menus, buttons, even complete side scrolling 2d games. Since we’d like to render a tetrahedron, we set up a persepctive projection matrix by gluPERSPECTIVE(parameters). The prefix “glu” indicates it’s a function from the OpenGL utilities unit. Instead we also could have used the glFRUSTUM(parameters) function which is part of the core OpenGL unit to generate such a matrix but gluPERSPECTIVE(parameters) makes it easy to get a matrix for distortionless display of the resulting projection. The first parameter is the field of view angle (fovy) in degrees. The second parameter is the aspect, usually the aspect ratio of the window dimensions width/height, here 640/480. The last two parameters are the (positive) z values for the near and far clipping plane of the generated viewing frustum. The generated perspective projection matrix corresponds to a viewing frustum. Next we have to set up the viewing and modeling transformation. We switch to this matrix mode by GL_MODELVIEW as argument for GL_MATRIXMODE(parameter). We replace the matrix stack with the identity matrix. Now any subsequent matrix operations (glTRANSLATEf, glROTATEf,…) are applied to this matrix. It is replaced by the identity matrix and ready for further manipulations. This mode lets you manipulate the actual objects or models, e.g. a tetrahedron. The color buffer gets cleared by glCLEAR(GL_COLOR_BUFFER_BIT). Then back-face culling is enabled by GL_ENABLE(GL_CULL_FACE). If you draw e.g. a triangle it has two faces. A front face and a back face. In a tetrahedron consisting of four triangles the inner faces are never seen. To avoid drawing them the back-face culling gets enabled so OpenGL isn’t drawing them. Finally the scene gets translated along the z-axis about -2.0 units by glTRANSLATEf(parameters) with x, y and z as parameters. REPEAT SDL_DELAY(50); glROTATEf(5, 0.0, 1.0, 0.0); glCLEAR(GL_COLOR_BUFFER_BIT ); glBEGIN(GL_TRIANGLES); glCOLOR3f(1.0, 1.0, 0.0); glVERTEX3f(thh, 0.0, 0.0); glVERTEX3f(-thh, hh, 0.0); glVERTEX3f(-thh, -hh, 0.5); glCOLOR3f(0.0, 1.0, 1.0); glVERTEX3f(thh, 0.0, 0.0); glVERTEX3f(-thh, -hh, -0.5); glVERTEX3f(-thh, hh, 0.0); glCOLOR3f(1.0, 0.0, 1.0); glVERTEX3f(thh, 0.0, 0.0); glVERTEX3f(-thh, -hh, 0.5); glVERTEX3f(-thh, -hh, -0.5); glCOLOR3f(1.0, 1.0, 1.0); glVERTEX3f(-thh, -hh, 0.5); glVERTEX3f(-thh, hh, 0.0); glVERTEX3f(-thh, -hh, -0.5); glEND; SDL_GL_SWAPBUFFERS; UNTIL keypressed; SDL_QUIT; END. Don’t be worried. This piece of code looks big but this is just because of the definition of the actual tetrahedron. First the REPEAT loop is entered. Every cycle is delayed by 50 milliseconds by the known SDL_DELAY(time in ms) function. 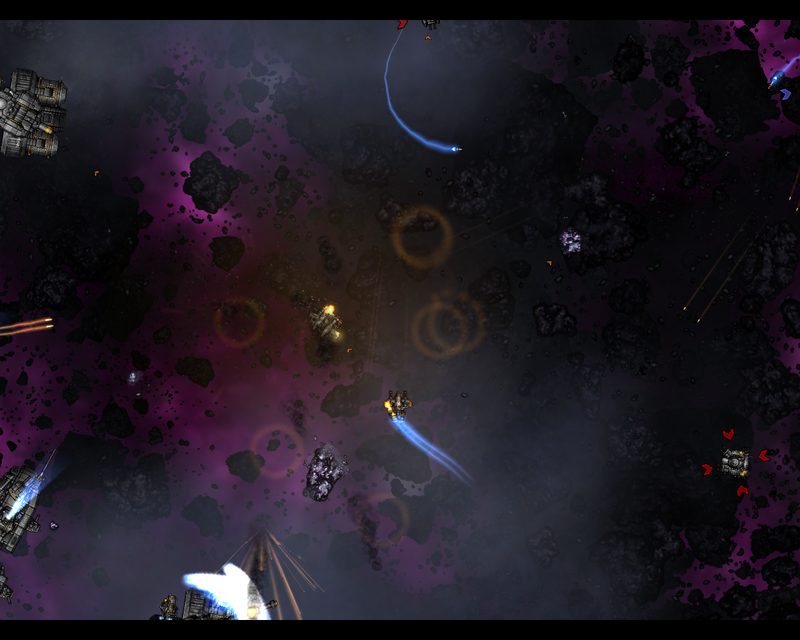 Next the scene gets rotated. This can be achieved by the OpenGL function glROTATEf(parameters). You’ve to pass four arguments. The degree of rotation first, then three values which define the orientation of the axis around which is rotated. A triple (1.0 / 0.0 / 0.0) or (0.0 / 1.0 / 0.0) or (0.0 / 0.0 / 1.0) corresponds to a rotation around a x- or y- or z-axis respectivly. However, by linear combination of all the three components you can orient the rotation axis completly free in 3d space. For the tutorial with each cycle of the loop the tetrahedron is rotated by 5 degrees around the y axis. The color buffer gets cleared so the tetrahedron from the previous cycle disappears before drawing a new one (rotated by 5 degrees). Now we need to construct the tetrahedron. Such constructions of objects is always done between a glBEGIN and glEND clause. Yes, even C/C++ programmers have to use Pascal’s own best BEGIN/END clause here :). Well, the glBEGIN (geometric primitive type) command needs an argument which defines what type of primitive is drawn. In our case we want to draw triangles, so we use GL_TRIANGLES here. Further common arguments are GL_POINTS, GL_LINES, GL_QUADS and GL_POLYGON, for points, lines, quads and polygons. Depending of this setting the vertices given within the glBEGIN/glEND block are interpreted. If you chose GL_TRIANGLES, three vertices are interpreted to form one triangles. However, for GL_LINES, only two vertices are needed. The first and the second vertex from our example would form one line. The third vertex would be interpreted to be the starting point for a new line, the first vertex of the next triangle block would be used as second point to form the second line and so on. Note, for 3d games usually triangles are used since most graphic cards seem to be optimized to draw them. A tetrahedron consists of four triangular areas. 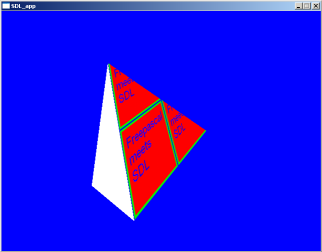 Each trianglular area has three corners, these corners are called vertices in OpenGL. Within the glBEGIN/glEND clause the code has four blocks, each containing three glVERTEX3f(coordinates) and one glCOLOR3f(RGB components) commands. Each block creates one triangular area of the tetrahedron consisting of 3 vertices. Every triangular area also gets its own colour. For glCOLOR3f(RGB components) you use the three normalized colour codes for the red, green and blue component. 1.0 corresponds to 255 and means full addition of this colour component, 0.0 corresponds to 0 and means no addition of this colour component. As you may have noticed in the example always two colour components are used, e.g. red and green leads to yellow. You may prefer other combinations. For the actual creation of a geometric primitive, like a triangle, just place the corresponding number of vertices in the 3d space and OpenGL will do the rest. It is important though to consider the order of placing the vertices. The order of placing the vertices determines what will be the front and back of the triangles. If you don’t consider this you may end up with curious results after doing back-face culling as described. Remeber: Back-face culling means, that the back of each primitive isn’t drawn. The way the triangles are created in the examples all areas have their front showing while their back is inside the tetrahedron. So without hestiation you can leave them undrawn. Imagine though what would be the result if one of the triangles would have been flipped because of placing the vertices in the wrong order. The undrawn back would show up. The impression of a rotating tetrahedron would be messed up. To get the front showing up instead of the back you have to place the vertices anticlockwise! The arguments for glVERTEX3f(x, y, z coordinate) are just the cartesian coordinates of the vertex you want to place. Since I decided to give a rather complicated example for this tutorial (usually OpenGL tutorials explain this by cubes and six quads) I will examine the code here in more detail for the first triangle. If you’ve understood it, you’ll do cubes just by the way :). The coordinates for the first vertex are (thh / 0 / 0), the next vertex are (-thh / hh / 0) and the last vertex are (-thh / -hh / 0.5). The following image will show you how the vertices are placed in the cartesian space. As you can check quickly, the vertices are indeed placed anticlockwise. The origin of the coordinate system (0 / 0 / 0) is approximately in the center of the triangle, actually it is in the center of the tetrahedron, when it is finished. The first vertex is placed onto the x axis at thh, the half height of the tetrahedron. 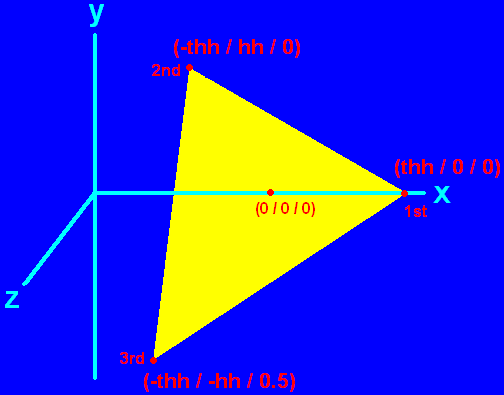 The second vertex is placed on the opposite x position of the origin at -thh and has a y value of hh, the half height of an equilateral triangle. This point is still in the x/y-plane formed by the x and y axis. The last vertex has a x value of -tth and and y value of -hh, because of the z value of 0.5 this vertex doesn’t belong to the x/y-plane the other two vertices belong to. It is in front of this plane. You’ll notice a slight distorted appearance of the triangle for the third vertex, just as if it would bend towards you, that is because it actually is. Now try to check if you understand the other vertices coordinates and if you understand why their front and not their back is showing. The loop’s last command is SDL_GL_SWAPBUFFERS which corresponds to SDL_FLIP for a pure SDL scene. It refreshes the scene. In case you have an OpenGL scene you never use SDL_FLIP or SDL_UPDATERECT to refresh the scene! The loop quits if a key gets pressed. Then SDL and the Pascal program quit as known. If you want to learn OpenGL and its capabilities to a more advaced extend you need to read more professional tutorials related to pure OpenGL programming. As a starting point I’d like to mention NeHe Productions’ OpenGL tutorials, because they are professional and provide example code for JEDI-SDL for several lessons. The final result should look and behave like this: A tetrahedron consisting of four different coloured areas (yellow, cyan, magenta and white) is spinning slowly around itself. When pressing a key in the console the show quits.